For years, America was basically a communist state. Not because of any reverence for Lenin, mind you, but because of our nation's fixation with the international symbol of Russia, vodka. That booze has been the best-selling spirit in the US since 2007, but its tyranny ends now, as whiskey is finally projected to surpass the stuff in sales. Well done, 'Merica! 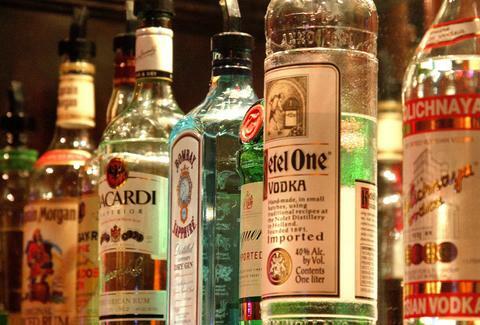 Quartz reports that, while vodka will retain the volume crown (meaning more gallons of it will be sold), whiskey is set to overtake the liquor in sales. It's also projected to further the sales gap in the next few years, so this is no fluke. Whiskey is set to comfortably rule the market after a steady, hard-won comeback. It began losing its battle with vodka back in the '80s, when the clear stuff started tapping into the premium market in earnest and, later, making bank on a parade of flavored varieties. Everyone was on the vodka train, but then the booze barons hit a wall in terms of innovation. All of a sudden, whiskey started sounding a lot more appealing. It was authentic, and flavorful, and even more natural. Plus people were willing to shell out for the pricey stuff -- whereas vodka's appeal mainly lies in it being a cheap, adaptable booze, whiskey is all about a bold, high-end experience. (That's not to say only rich snooty guys are drinking the brown stuff. Fireball is tearing up the market in the same way the early novelty vodkas did.) Just like that, Bay Breezes were old news. So let's raise a glass to whiskey. You had your run, vodka, but it's time for the Tennessee and Kentucky boys to inherit the Earth. Or at least America. Kristin Hunt is a Food/Drink staff writer for Thrillist, and welcomes this new era with open arms. Follow her to whiskey gingers at @kristin_hunt.